Let your animal spirit prowl through this season’s prints. Leopard, cheetah, and giraffe: the Men’s 2016 Spring runway collections were inspired by exotic destinations and safari getaways. Test the waters with printed pants or graphic pullovers and let nature take its course. Fashion has never been so attentive to intuition. So then, take full embrace and allow your instincts to guide your style towards primal prints and low-maintenance pieces. Style advice: For Summer 2016, Dolce & Gabbana went wild with prints. As patterns mixed and matched down the runway, one thing remained: a high energy and excitement for the adventures that await the summertime. To start your journey, begin with a printed trouser. Valentino’s Albatross’ trousers ($555) is your guide to unashamedly making making noise with strong printed statements. This trouser, made of 100% cotton is lightweight, breathable, durable therefore, all around comfortable in fit and care. More the better to let you go wilding out over this print. Pair the printed pant with a graphic t-shirts and let your cool casual style soar. This is the most classic form of statements. To maximize the most, shop graphic tees with neutral colored foundations and then let the print speak for its self. This printed T-shirt by Diesel ($56) is an excellent example. Setting the tone with an ash grey base color, the bright tropical colors of yellow, orange and green attract attention to the t-shirt as the graphics start conversation. 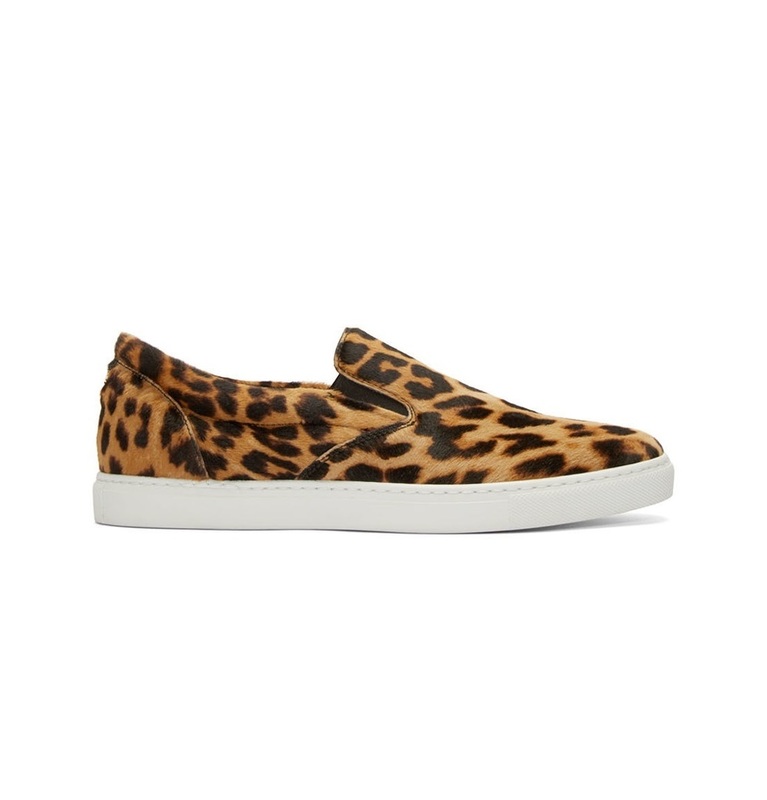 The best quality of this summer’s slip on shoe is its painless, simple and uncomplicated form. Typically, this summer essential is designed with a canvas upper and hemp sole. However this summer is filled with unrestraint. Dsquared2 ($281) took this classic model and jazzed its natural state: this leather, calf skin shoe with rubber sole is crafted with ingenuity. Step right into fun and foxy footwear. This summer there are no limits: add more accents by accessorizing with prints as well. With geometric hand held accessorize ($234) we hitting new heights in fashion — above and beyond. 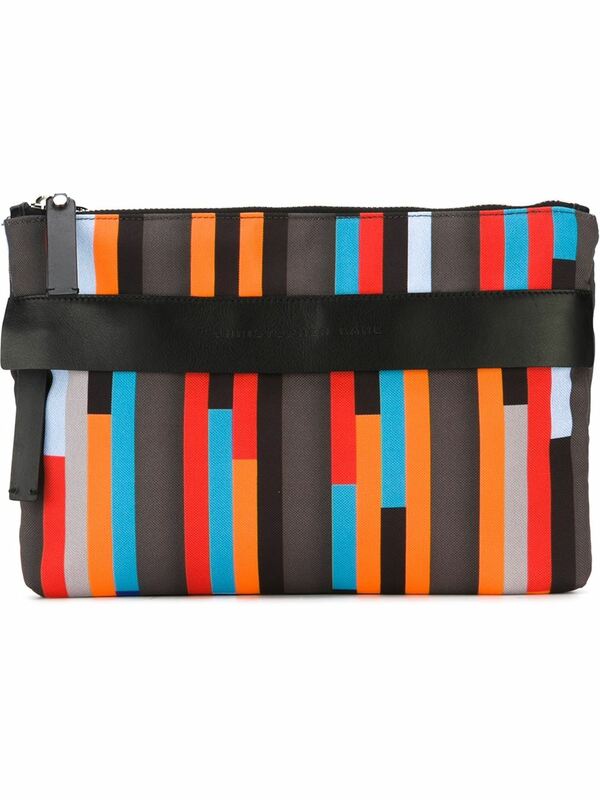 For a more ravenous look, hold onto Givenchy's ($329) printed clutch. Belts are another item that will keep you rocking the style game this season. Let Yves Saint Laurent inspire. Juxtaposing electric colors and exciting prints, this leather green leopard printed belt ($231) is a double statement. Now, you are a rockstar. Must Have: What would a fresh prince be without his eccentric prints? Take our word for it; now that Stella Jean’s printed trousers are practically sold out everywhere online; we are on the hunt for more options. The chase ended upon the sight of Thom Browne’s Gray Crane & Cloud Embroidered Trousers ($1770). When it comes to the New York based brand, always expect nothing short of excellent. Tailored, trimmed and sophistication defines this brand. For summer, these bird printed pants are an unexpected twist to a classic the prim and proper wear. The cranes and clouds are also embroidered onto the trouser— allowing for a special, one-of–kind piece. These atmospheric inspired trousers refresh a perspective on summer attire. Let this eye catching print be a conversation starter, you are letting your personality shine. This is your weekend wear. Industry Update: Reflections and recaps on Pitti Uomo always point to the future of men’s fashion. This year, the Italian menswear convention focused on leadership, a change in perspective, or even ideology on how the industry is led. This notion for fashion can be hard to swallow. Now that the relevance of tailoring has met its match— sportwear and street fashion — we are experiencing the turn of events. GQ is claiming 2017 the best Pitti ever. This year Rick Owens, Gosha Rubchinskiy, Vivism and Raf Simons displayed coveted collections. For their Spring 2017 Collections these designers are changing the game with hard hitting prints and a friendship between sportswear and tailoring. Business of Fashion describe the advancements as gang mentaility, “fashion that satisfies the tribal and primal urge to belong thus conform. The client is either in, and buys the aesthetic and the clothes or out, and buys somewhere else” ( Flaccavento). In the end fashion still remains somewhat of a club, so it seems. The difference now is that invitations are extended. Perhaps that is because fashion is exploring deeper waters in the world of culture and society. Pitti Uomo 2017 claimed more territory on how fashion relates to the world. Man of the Hour is part of a network of A. N. Publishing digital media properties including Modern Treatise and Sommet Dame.